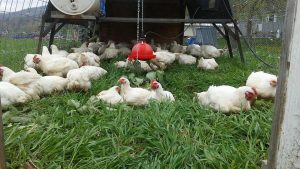 This week’s featured vendor is Jordan Farms, out of Nichols, NY! They sell chicken, turkey, and Englebert Cheese! Owner Justian Jordan started by raising meat for himself and then turned it in to a business! They have been in business for 1 and 1/2 years and selling at markets for 1. At their farm in Nichols they have 13 acres of production! 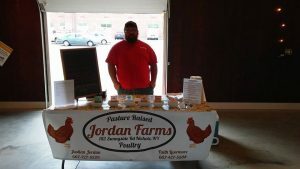 You can find Jordan Farms at our Tuesday Night Market, at Englebert Farm Store in Nichols, NY, and on Facebook at Jordan Farms.